The very best experience Fort Collins has to offer: rafting and craft beer. 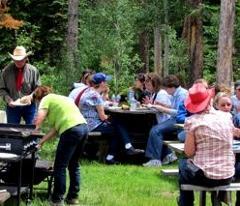 This package experience allows guests a comfortable, entertaining and informative way to participate in two activities that have made Fort Collins famous. Join Mountain Whitewater Descents and Beaver Meadows Stables for this quintessential Colorado experience. 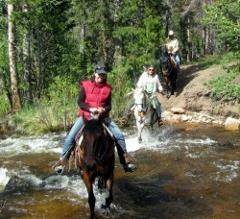 Whitewater rafting and horseback riding are two activities that should not be missed on your trip to Colorado. This is the signature Yin and Yang package offered by Mountain Whitewater Descents and Body and Spa Rituals. Enjoy a thrilling, half-day whitewater rafting trip in the morning and a relaxing and luxurious spa experience in the afternoon. This package will give our guests the same great, half-day whitewater rafting experience as the Paddle & Pamper package, but adds a little more time to enjoy your deep sense of well-being at the Body and Spa Rituals. Come to Fort Collins and enjoy a full day of classic Colorado Rocky Mountain excitement. Take a guided whitewater rafting trip and guided mountain bike ride with New World Sports all in the same day. The Paddle & Pedal Deluxe package is designed as a two day package, setup to allow guests to experience a full-day whitewater rafting trip and a full-day mountain biking trip on back to back days. Join us for a day you will never forget. Start with an early morning, scenic ride in the sky in a Hot Air Balloon that launches from the grounds at Mountain Whitewater Descents. After the balloon ride, experience an AM Plunge rafting trip. This package is perfect for the theater lover in your life. Go rafting in the morning and see professional dinner theater performance in the evening at Midtown Arts Center. This is a wonderful package for wine lovers. Go rafting in the morning and then, after your rafting excitement you will take a vineyard and winery tour including wine tasting at Ten Bears Winery. When people think of Fort Collins, three iconic ideas come to mind: bike, beer, and boats. Join Mountain Whitewater and Beer & Bike Tours for this iconic Fort Collins package.